A Whole Rest fills an entire measure of silence in any Time Signature with one exception. Do you know what that exception is? That's right - a Whole Rest in 4/2 Time is different. Having an exception to the Whole Rest rule can be confusing for students. Learn 3 UMT Tips to make remembering how to use a Whole Rest in 4/2 Time EASY! UMT Whole Rest in 4/2 Time Tip #1: Start with only what they need to know. An Eighth Note equals 1/2 a beat; an Eighth Rest equals 1/2 a beat of silence. Sounds mathematically logical, right? And for beginner theory students, it is correct to explain it this way. On Page 58 in the Preparatory Workbook, we teach that a Whole Rest fills an entire measure of silence in ANY Time Signature. At this level, it is perfectly correct to explain the Whole Rest Concept this way. Why? This type of teaching is called a Step-Stone Method - students learn one step at a time. At this level, students are only familiar with a Quarter Note Basic Beat, so it is not necessary to confuse them with the "Whole Rest Exception" (since they don't understand yet that anything other than a Quarter Note can be the Basic Beat). UMT Whole Rest in 4/2 Time Tip #2: Teach the one exception in Basic Rudiments. 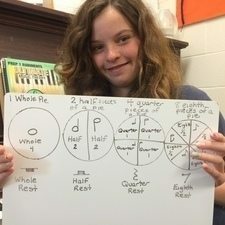 In Basic Rudiments, after learning about Simple Duple, Simple Triple and Simple Quadruple Time, we now know that the Basic Beat can be notes other than a Quarter Note. The Whole Rest Rule is now expanded as their understanding of the Basic Beat has expanded. We still teach that a Whole Rest fills an entire measure of silence in ANY Time Signature. The exception to the rule is 4/2 time in which a Breve Rest fills the whole measure. Okay, so that is not exactly how it was made - but they don't forget that a Breve Rest is used for a Whole Measure of silence in 4/2 time! UMT Whole Rest in 4/2 Time Tip #3 - Use Scoops, Basic Beats and Pulses! Use the Ultimate Music Theory Image Mnemonic devices to work through any tricky Time Signatures. When you follow the rules of the Pulses, and write in the Plus and Tilde Signs and the Scoops (even on Exams! ), your students will be successful. In 4/2 time, a Whole Rest is used to create silence for the first two Basic Beats - Beats 1 and 2 (S + w). A Whole Rest in 4/2 Time is used to create silence for the last two Basic Beats - Beats 3 and 4 (M + w). A Whole Rest in 4/2 Time is NEVER EVER used to create silence for the middle two Basic Beats - Beats 2 and 3 (w ~ M). If you don't know why we never ever (EVER) join Beats 2 and 3 into one rest, then I would encourage you to purchase the Ultimate Music Theory Complete Workbook and Answer Book. Then, do every page - top to bottom - answering every single question. Mark each page too! 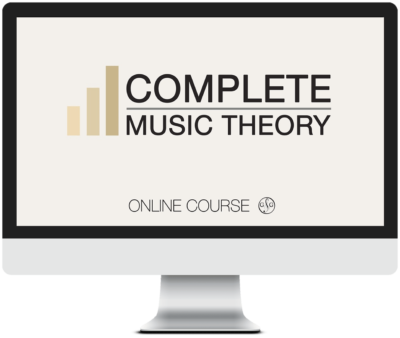 If you need motivation, then sign up for the Ultimate Music Theory Complete Course ONLINE and work through each chapter with Glory! You will not only fill in the missing concepts in your own theory education, you will learn how to teach these concepts to your students easily. I hope that this gives you some ideas on how to present the Whole Rest in 4/2 Time (and introduce the Breve Rest) to your students. jogger before the rcm theory exams this coming Friday/Saturday. Thanks Grace! I was trying to time it so that it was “out there” for the exam! It is an area that a lot of students (who have not studied using Ultimate Music Theory) make a mistake on (and then the Teachers wonder why!). So I am so very glad that I was able to help out! PS – If you are confused, don’t worry! The Whole Rest in 3/2 Blog will answer all those worries! Don’t be upset at yourself! This is one of those subjects that you were either taught…or your teacher probably didn’t know either! I think it is really exciting to learn something new! It makes me feel young again! Thanks a lot. Very best.